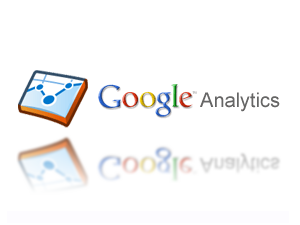 Why Aren’t You Using Google Analytics? I remember a time when someone suggested I use Google Analytics, and I insisted that I didn’t have time to manage one more thing. Once I finally gave in, I understood how investing a little bit of time in learning about this powerful tool meant that it would end up saving a lot of time, increasing web traffic and supplying data to numerous projects. I use a plugin for Firefox called SEO Doctor that quickly scans a web page for a checklist of basics, such as sufficient meta information. It also checks to see if Web Analytics code is installed. The most popular web analytics tool and the one I’m most familiar with is the free, easy to install service, Google Analytics. I’m often so surprised how few people have analytics installed. Throwing data away feels like throwing money away! Installing Analytics code in your site allows you to track visitors around your website, understand where they are coming from and what they are looking for so that you can better optimize your pages. You can take a tour of the Google Analytics product or visit numerous education options, including training videos and an IQ test, to help you get up to speed on how to make it useful for you. You do not have to be a business to install Google Analytics on your website, you can install it on almost any website, including your blog! It’s easy to sign-up for a Google Analytics account using your current Google account login. Just visit the Google Analytics home page, sign up to add a new account and get started. I’ve found analytics has helped me increase my search traffic by helping me refine the keywords on my pages and making information that people are searching for easier to find. Do certain topics increase your traffic more than others? Are your most visited pages hidden deep in your navigation? Are people looking for something else when they come to your website? There is a goldmine of data waiting to help you make your next decision about your website or business. If you don’t have it installed, you could be throwing away valuable data to help you grow your business. Are you lost? Do you need some help installing your analytics code from here? Contact me and let’s see if I can help!